Mexico City has SO much to see and do. If you browse through the Mexico City section of my blog you’ll find plenty of museums, restaurants, parks, and tacos. As someone who lives here, I have the luxury of taking my time and exploring each neighborhood and historical sight slowly and as many times as I want. But if you’re coming to the city as a visitor and want to see as much as you, the best thing to do is to take a few Mexico City tours. I think tours get a bad wrap because people feel like they don’t have enough freedom or because they don’t want to visit extra little places, but for me, these are all experiences I would never have had on my own and there’s a guide who can talk me through it all. I actually really like taking day tours so that I can learn more about the place I’m visiting and ask questions to someone who is usually from the city. I’ll let you in on a little secret about tours in Mexico, they’re usually all run by one main company. In Mexico City, you can book with different companies or with your hotel, but they’re all dealing with one central boss. I met him once. We drank tequila together. He was very nice. Basically, what I’m saying is, it doesn’t really matter which company you choose. Sure if you go through one company for your entire trip, you’ll likely be able to request the same guide. I’ve booked tour with a few different companies in Mexico City and they all show up in rented white vans and all of the tour guides speak excellent English and have a great knowledge of the place they’re taking you. For this post, I’ve listed two main companies, Viator and Get Your Guide. They are both international companies that do all of the research for you and find the best people to deal with so all you have to do is book the tour on their website and be ready when the van shows up at your hotel. 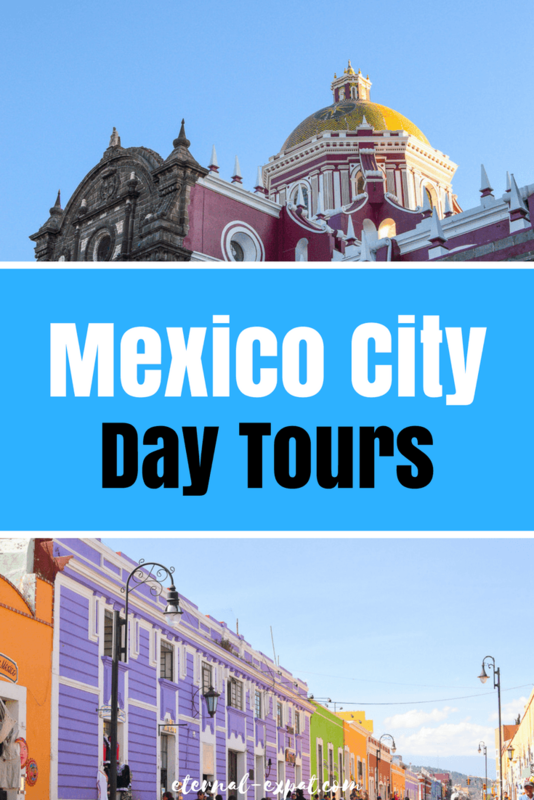 This is probably the most popular tour to do in Mexico City. 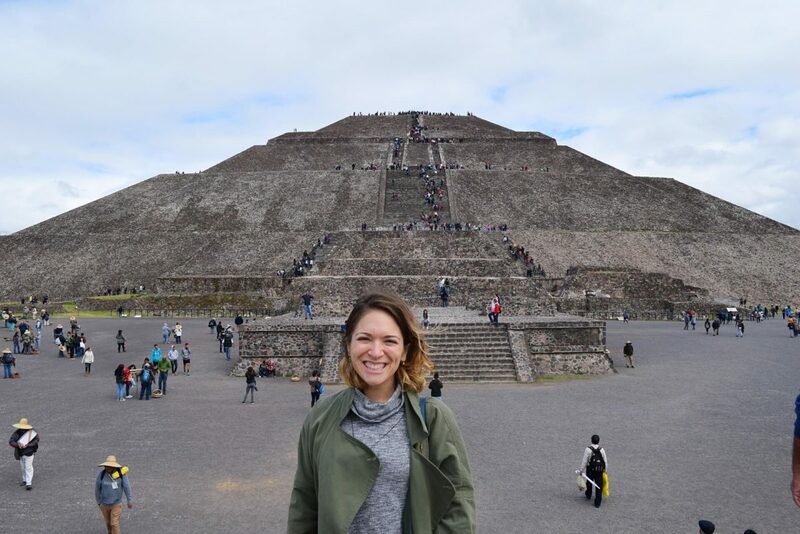 While it’s not that hard to visit Teotihuacan on your own, it’s not exactly straightforward. You have to get yourself to the Northern Bus Terminal, then take the bus to the pyramids and walk to the entrance from the bus station. It’s much cheaper, but of course, you don’t get a guide. Get picked up from your hotel around 8:30. Pick up other passengers and finally hit the road around 9:30. Stop at La Plaza de la Tres Culturas – an Aztec ruins site just on the outskirts of the city. Stop at a silver shop to learn a little bit about Taxco silver. I also ate a tamale at this stop. Drive to Teotihuacan and stop at a tequila shop. Sample tequila, pulque, and mezcal and learn about how each is made. Go to the pyramids and listen to tour guide talk about the history for about 30 minutes. Get an additional 45 minutes to an hour to explore the pyramids on your own. Go for lunch at a nearby restaurant – this is usually included in the price. Head back to the city and stop at the Basilica of Guadalupe. Learn about the history behind it and see the shrine. Get back to your hotel around 6:30. 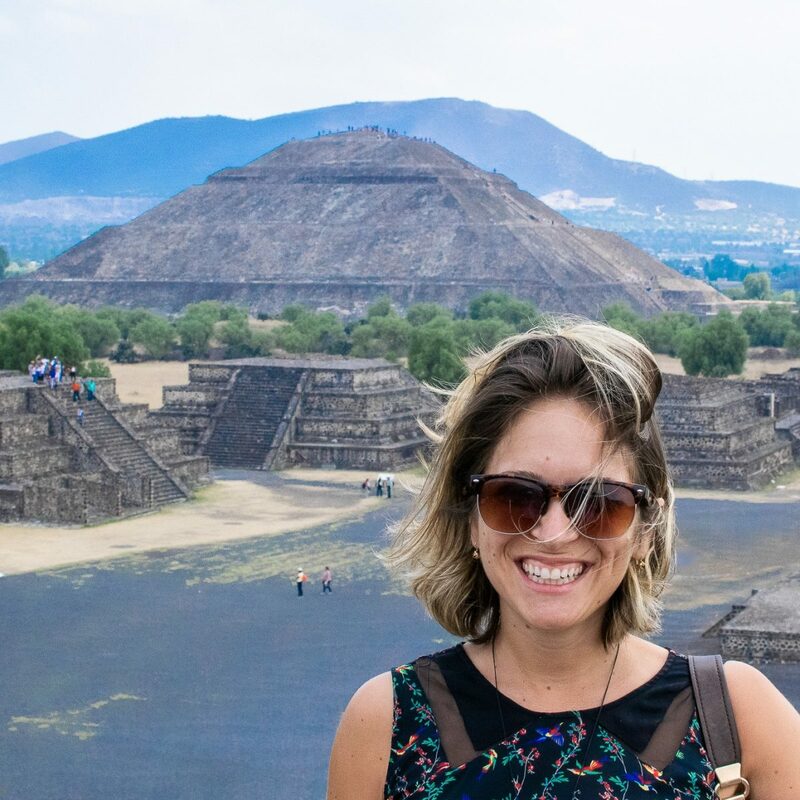 Book your Teotihuacan tour here. If you would prefer to take a tour, I think this is a great option. They organize the boat for you and they make sure you get the full experience. Another nice thing about taking a tour to Xochimilco is that you can learn a lot more about the history of the canals and why they are so important to the culture of Mexico City. Get picked up from your hotel around 8:30/9am. Go to the Frida Kahlo Museum. Explore the colonial area in Coyoacan. You’ll likely have lunch around here. Visit UNAM – the national university of Mexico. There are a few different options with this tour. You can choose not to go to the Frida Kahlo museum. 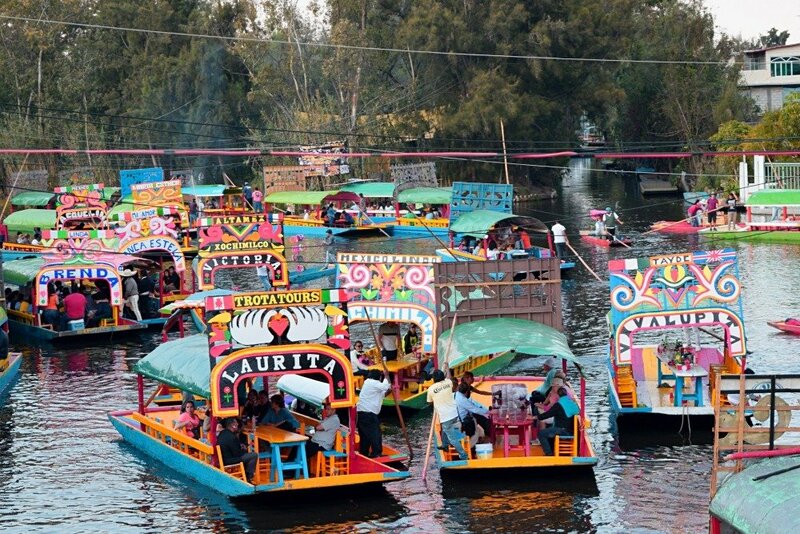 You can also choose to go to Xochimilco in the evening so you enjoy the canals at night. To be frank, the canals are awesome all day long and I think there’s no real need to go at night. Book your Xochimilco & Coyoacan Tour here. If you’ve been to Mexico City before and you’re looking for something totally different, I really recommend taking a tour of Taxco and Cuernavaca. Again, these two places could be done on your own, but you wouldn’t be able to see them both in one day unless you rented a car. Taxco is the home of silver in Mexico. It’s a great place to pick up a souvenir, but I think it’s really interesting to be able to go to the places where they’re actually making the jewelry and learn about how people have been making these pieces for decades in the same way. The town of Taxco is quite nice with cobbled streets and a view over the surrounding Valley of Mexico. Cuernavaca is known for its very old church and is another nice town to walk around. It’s also the capital of the neighboring state of Morelos. If you know anything about Spanish colonialism in Mexico, you may have heard the name Hernan Cortes. Well, this city was his home during the 16th century and no doubt your tour guide will have plenty of interesting stories to share about life in the city back then. Learn more about the Taxco & Cuernacava Tour here. 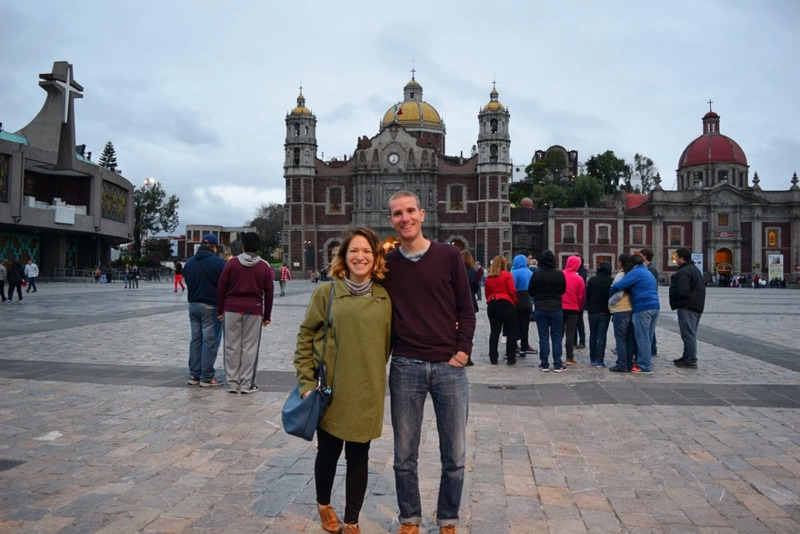 Puebla and Cholula are two of my absolute favorite places in the region (outside of Mexico City of course). Puebla has absolutely amazing food and Cholula is stunning. If you have extra time on your trip to Central Mexico, you could easily dedicate three or four days to these two places, but if you’re pressed for time, I HIGHLY recommend adding a day trip here to your itinerary. It’s a long day and Puebla and Cholula are roughly two hours from the center of Mexico City, but once you get here you’ll be so glad you came. The tour starts at the Cholula Archeological site where you can walk through tunnels inside the pyramid. This pyramid is now covered over with earth and looks like nothing more than a big hill, but the tunnels prove that simply isn’t true. The pyramid at Cholula is the widest pyramid in the world and is the third tallest in the world. It’s pretty impressive! Be sure to have a lookout for the two volcanoes – Iztaccihuatl and Popocatepetl. Popocatepetl is the one that still releases smoke and is very much active. The tour then takes you for lunch (which you can pay for separately or add to your tour price). After that, you’ll go into Puebla and check out the different architecture before finishing with a visit to a few different Talavera pottery shops. This beautiful blue painted pottery is from this part of the country and is really pretty. If you’re going to leave with a souvenir, I definitely recommend this (if you like pottery obviously). Book your Puebla and Cholula Day Tour here.